I’ve been in a cheesesteak state of mind lately thanks to a new ranking from WIP radio’s Glen Macnow of the region’s best purveyors of the cheeseburgers South Philly cousin (you might recall his take on burgers back in 2006), so it was hard for me not to kill two birds with one stone by indulging in the latest offering from the drive-thru happy chain Checkers. If you love Cheeseburgers and you love Philly Cheese Steaks, then you are going to flip over Checkers new Philly Cheese Steak Burger. 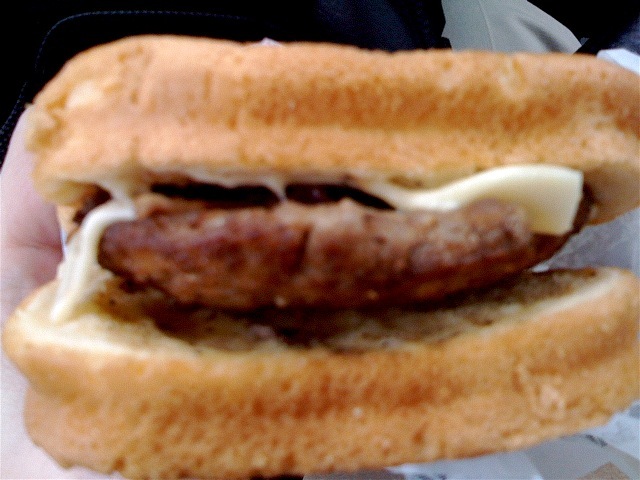 Only at Checkers can you enjoy meat-on-meat-on-cheese flavor like this! And reeled in by this gorgeous advert. Less than two miles from some of the best “wiz wit” joints in the land, I was almost forced to toss out my “there is no such thing as a bad burger” motto. Way too greasy (not a shocker) and just visually unappealing (I’ll take the one in the advertisement, please!) this burger only served to debunk the “When In Rome” theory. 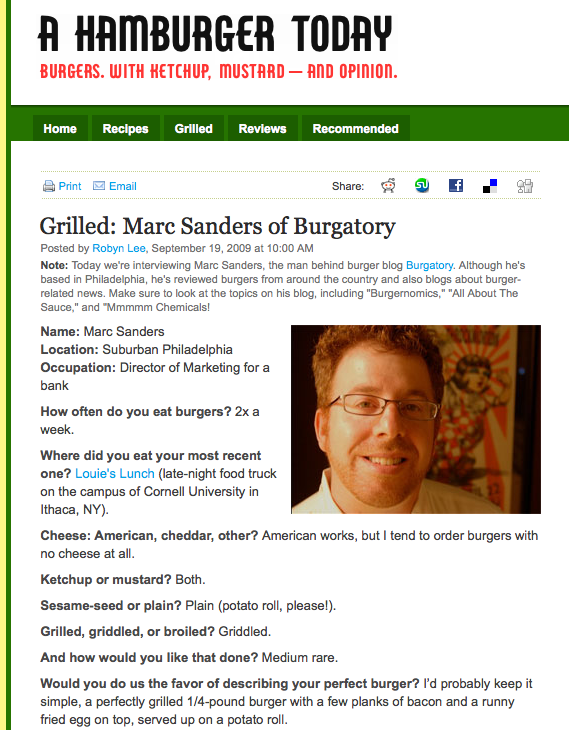 I’m sure this burger served anywhere outside of Philadelphia would provide the diner with a sufficient homage to the taste of a mall food court cheesesteak, but the decision to serve this within City limits is bound to bring forth criticisms like mine (Wendy’s recently offered a Philly Hoagie Burger which never made it to local menus, I can only assume because it would have to be judged against the local fare – though I am not certain anyone serves a burger with two fresh beef patties, sliced ham, Genoa salami, American cheese, fresh onion rings, shredded lettuce, sliced tomato and creamy Italian dressing). Kudos to the Checkers folks for bold product development, the Philly Cheese Steak Burger was a dud but I am looking forward to the day when I can order a Memphis BBQ Pulled Pork Burger or (dare I dream) a Maine Lobster Roll Burger!! 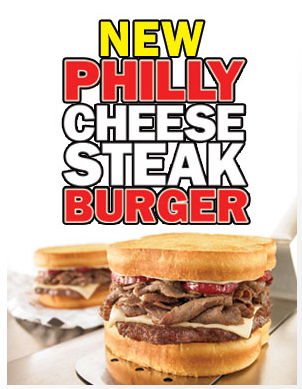 Checkers/Rally’s have an ad campaign promoting their new Philly Cheese Steak Burger…but it should be called the “Phony Cheese Steak Burger”. If you have already bought one of these burgers then you wont need to watch the video but if you haven’t; you will want to watch this video BEFORE you reach the outside menu board. This is false advertising at it’s best (worse).